Don’t have power nearby, not a problem with Hunter's XC Hybrid Controller. 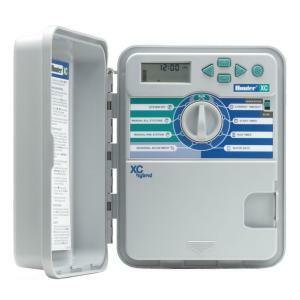 This controller has all the same efficient water management features as the XC Controller but operates DC latching solenoids with battery power or solar energy (with optional solar panel kit). Can also be operated with a plug-in 24 VAC adapter for indoor installation. Available in 6 or 12 station models with plastic (indoor/outdoor) enclosure. This makes it a good choice for residential or commercial applications, such as parks, gardens, roadway medians or roundabouts.